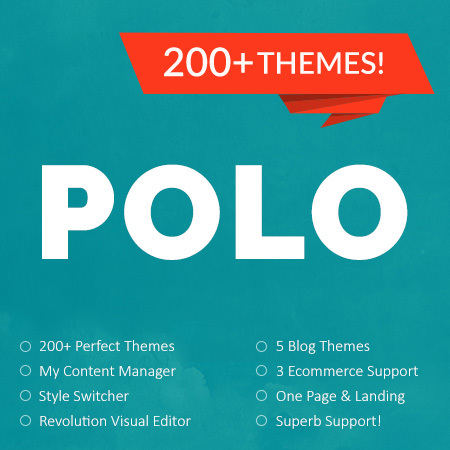 Discount on new POLO DNN Skin with 200+ Themes! Last Post 01/09/2018 8:32 AM by WebSitesCreative. 0 Replies. No more shortcodes! Customize almost all POLO content quck and easy without touching any code. My Content Manager helps you and your clients to work with sliders, portfolios, galleries, carousels, testimonials, charts, social icons, pricing tables and much more in one place via simple and friendly interface! A growing collection of 200+ themes created for everyone from small businesses and merchants to bloggers and artists. Pick the best theme for your purpose and start customizing! POLO DNN theme is bundled with Slider Revolution and drag-n-drop Visual Editor! 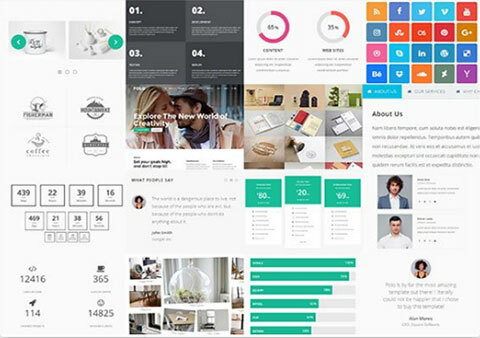 With absolutely no coding knowledge required, even beginners will manage to create beautiful presentations for their DNN website. It also displays great on every device and loads lightning fast. Be first to try it for your DNN projects! 3. HUNDREDS OF MEDIA ASSETS! Hundreds of images, video, icons and other elements! All media files are CC0 licensed so be free to use it for your projects with Slider Revolution! Lets you create understandable, memorable, engaging and interactive whiteboard animations. Now everyone can create it using drag-n-drop Visual Editor and step-by-step video tutorials with absolutely no coding knowledge! Allows you to make customizations without touching any code! Choose colors, backgrounds, layouts; switch and save themes, header and footer styles; control Mega Menu, parallax and lots of other skin settings! Revindex StoreFront, Free NBStore3 and SmithCart modules support! Now there's no need to mess with ecommerce styling to match your site perfectly. POLO will apply all the required styles based on your design automatically! MEGA MENU MODULE: control mega menu features easy! Slider and Portfolio module: module with no more no less 12 unique slider and portfolio themes! Blog module: great-looking user-friendly responsive blog can be added to your site! Contact Us form: use default DNN feedback module as contact us form and set your location with Google map. Custom Forms module: use DNN Form and List module as FREE responsive custom forms builder. The skin is fully customizable. Choose from unlimited colors, wide and boxed layouts, 3 menu styles, 4 header styles, transparent versions, 2 mobile menus, 300+ patterns, 600+ fonts etc. WebSitesCreative - DotNetNuke Skins, PSD to DNN and Custom DNN development company.